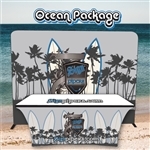 Custom Sales Banners & Displays, Flags, Event Tents & More! Sign Pipers makes sales products proven to increase visibility to your business, bring new customers in and increase your revenue! Think of your top competitors...they use outside sales products, such as sales banners, flags and event tents - WHY? Because they work! 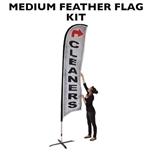 Using products such as banners for marketing, sales flags and custom printed event tents shows that you are more “put together” and set you apart from your competition. Business banners and signs are a great way to attract customers and show off a new promotion or sale. Our banners for marketing are of the highest quality fabric or vinyl and custom printing is available, so you can include any message you want. 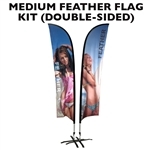 Purchase sales banners at Sign Pipers and watch the new customers pour in! Sign Pipers' clients find that the cost of sales flags are the cheapest form of advertising (especially on busy streets) than all others and this investment will last for years to come. With thousands of potential patrons driving by your business daily, this tells us that they live or commute near your business. Flags along the road allow a driver to see your business - without turning their head while driving, not to mention other constant distractions drivers have. How many new customers would it take to see a profit from this 1 to 2 year investment? Probably not too many. Usually less than 5. Become more visible to your customers today with Sign Pipers!